Learners complain that they do not get enough feedback, and educators resent that although they put considerable time into generating feedback, students take little notice of it. Both parties agree that it is very important. That feedback constitutes one-way flow of information from a knowledgeable person to a less knowledgeable person. That the job of feedback is complete with the imparting of performance-related information. 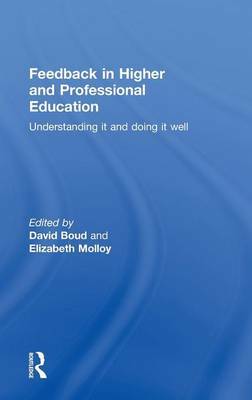 It seeking a new approach to feedback, it proposes that it is necessary to recognise that learners need to be much more actively involved in seeking, generating and using feedback. Rather than it being something they are subjected to, it must be an activity that they drive.